Aerial Events offers cirque-style aerial and ground performances, astounding aerial shows, beautiful ambiance background entertainment, friendly aerial bartending, exciting acrobatics, fire breathing, and a wide variety of performance options for any kind of event! We are perfect for corporate events, holiday parties, weddings, fundraisers, and so much more! Based in the Florida Panhandle, we are available nationally. 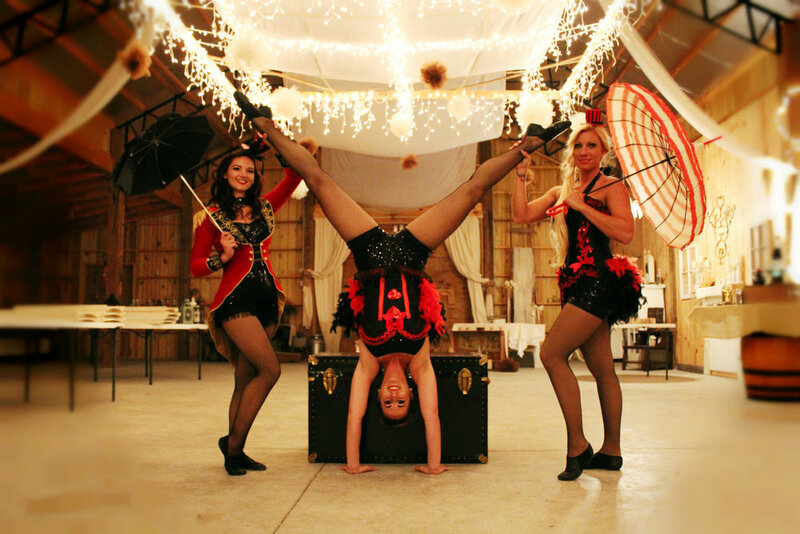 Whether you want a solo performer or a full stage show with multiple aerialists, fire dancing, stilt walking, or one of our many other entertainment options; our performances are guaranteed to enthrall guests and make any event exciting and unique! Why Have Aerial at Your Event? Entrancing Entertainment: With decades of circus training and dance experience in a diverse variety of styles, we are uniquely suited to corporate-style entertainment that will appeal to guests. 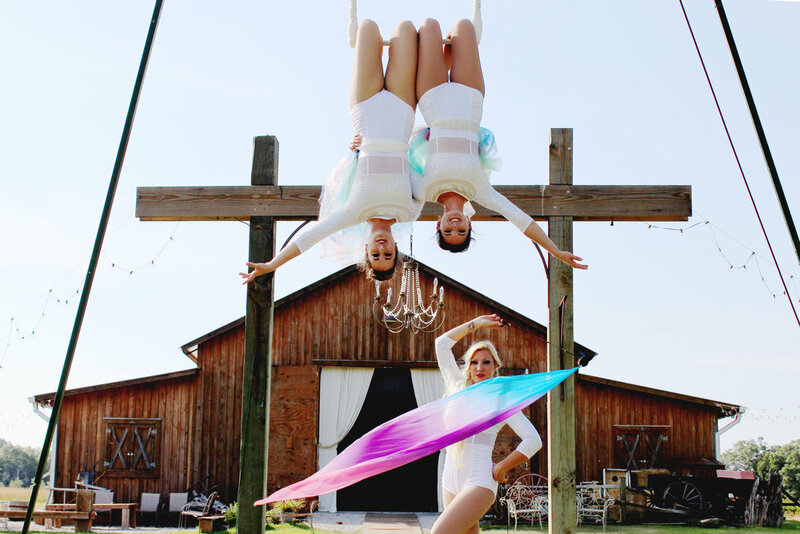 Aerial Events brings a magical sense of whimsy to your party to delight your guests. We live to entertain and love posing for photos with your guests to ensure your event is the talk of the town on social media! Professionalism: A substantial amount of event planning experience helps us understand and anticipate our clients’ needs. Our high level of integrity and professionalism ensures our clients receive exactly what they need, when they need it, with no hassle or drama. We give you a hitch-free performance, guaranteed. Convenience: We provide you with the ultimate one-stop shop for entertainment, and are equipped to enthrall your guests all night long! From acrobatics to walkabout characters, we offer a wide variety of acts for your selection and stock a distinct array of gorgeous custom costumes to enhance your event theme. Our services are customized specifically to your needs to give you exactly what you want.